The Red building with white cupolas is the State Historical Museum. The green steeples are a corner of the Kremlin wall. We're looking across the northern edge of Red Square. This is all from handing the photo to image search in images.google.com and following various traces around the web. 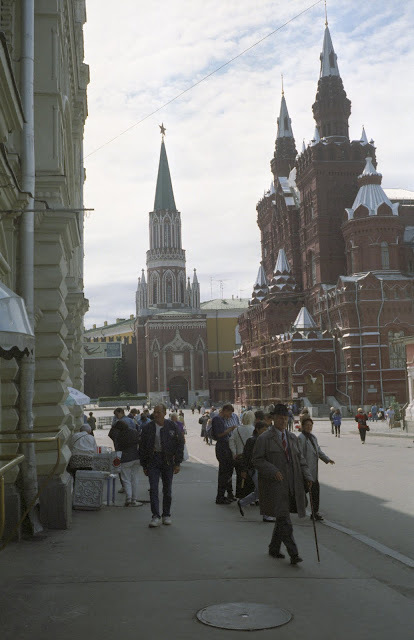 RTH was in Moscow in August of 1995.